Step 1 Arrange bread on baking sheet; spread tops with half of the butter. Broil 4-6 in. (10-15 cm) from the heat for 1-2 minutes or until lightly toasted. Step 2 Turn bread over; spread tops with remaining butter. Layer with the mozzarella cheese, apple slices, and Gouda cheese. Broil 3-4 minutes longer or until cheese is melted. Sweet or tart? Try different varieties of apples! Grilled cheese is a go-to meal for an after-school snack, quick lunch, and even a fun treat on trips. 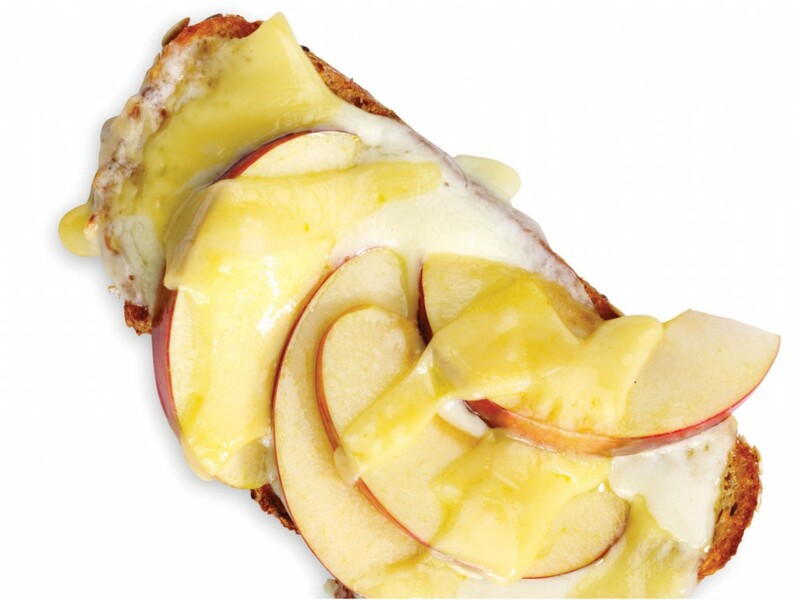 These apple-gouda melt sandwiches are a grown-up version of something we all love.